This was a big hit. We lightly steamed it and gave him a chunk of the stem to start. 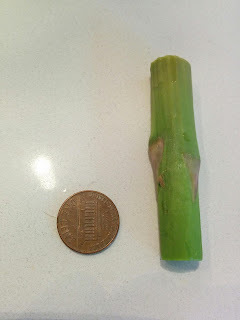 Because it's very fibrous like celery, it doesn't come apart easily and he can happily gum it for a while.